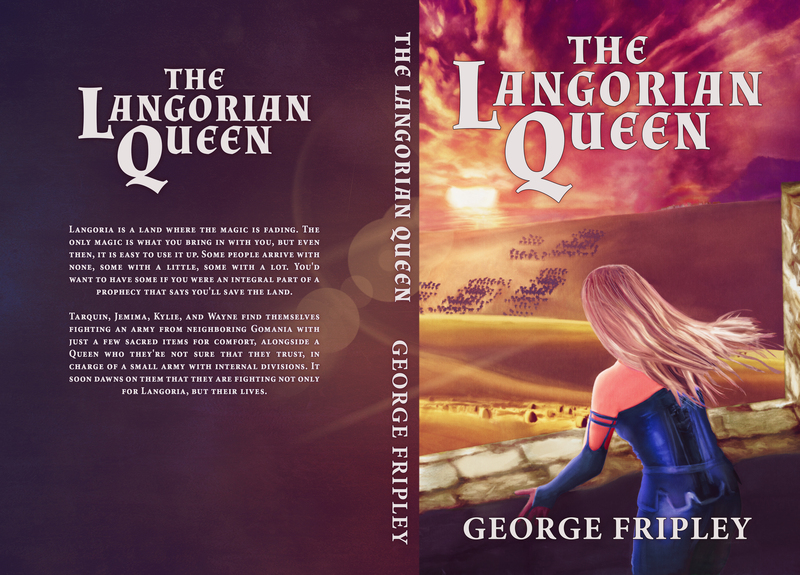 The Langorian Queen is now out! Yes, I’ve finally got this story to a point where I am comfortable to release it (with a great cover courtesy of boldfoxdesigns.com). It is available at Amazon.com, Amazon.co.uk, amazon.com.au and soon in many more places. I am genuinely excited to get this out there. If you read it, let me know what you think. Langoria is a land where the magic is fading. The only magic is what you bring in with you, but even then, it is easy to use it up. Some people arrive with none, some with a little, some with a lot. You’d want to have some if you were an integral part of a prophecy that says you’ll save the land. Tarquin, Jemima, Kylie, and Wayne find themselves fighting an army from neighboring Gomania with just a few sacred items for comfort, alongside a Queen who they’re not sure that they trust, in charge of a small army with internal divisions. It soon dawns on them that they are fighting not only for Langoria, but for their lives?